Plan a quick visit to the Bridge of Sighs if you are traveling to Barranco. This lovely wooden structure offers something ‘offbeat’ to the visitors. Take a romantic walk on this bridge with your significant other. There are plenty of bars and restaurants around this bridge whetting your appetite. Do you want a place just to sit and contemplate the bridge and the sea behind it? Then you must stumble upon the Peruvian restaurant called Chala. Here you can enjoy the typical Peruvian cuisines. The Bridge of Sighs is also a great place for bird watching, especially the vultures. The views from the bridge are priceless. To personalise your visit to the city, you can use an all-inclusive Barranco District trip planner for the same that will give detailed information about visiting the city. Add accommodation and hotels in Barranco District that suit your budget including the most recommended ones like Bayview Hotel, Hotel SeÃÃÃ‚ƒÂ±orial and 3b Barranco's - Chic And Basic - B&b. Choose from variety of exclusive Barranco District vacation packages for your next visit or create own own. Check out the various options for how to reach Barranco District and finish off your vacation package by booking the ideal transfer. Love this? 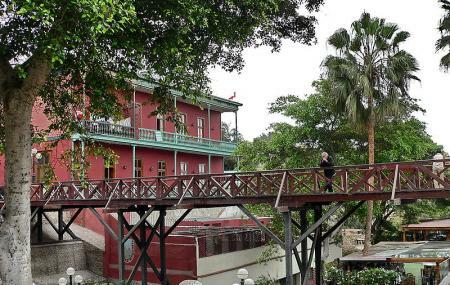 Explore the entire list of places to visit in Barranco District before you plan your trip. Fancy a good night's sleep after a tiring day? Check out where to stay in Barranco District and book an accommodation of your choice.